I’d waited long enough. I f****** hit him hard. The ball was there (I think). Take that you c***. And don’t ever stand over me sneering about fake injuries. Even in the dressing room afterwards, I had no remorse. Going to work was like going to war. Former Ireland and Manchester United captain Roy Keane on violently tackling Norwegian player Alf-Inge Haaland during a Manchester United-Manchester City game in April 2001, as revenge for an incident four years earlier. 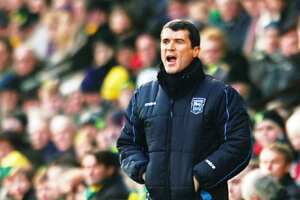 Keane was banned for five matches and fined £150,000, Haaland retired some time later. Source:Keane—The Autobiography by Michael Joseph, 2002.